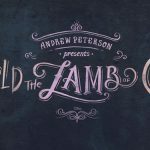 Today we celebrate a very recent yet worthy song that has captivated a significant number of Christians for years, Andrew Peterson’s “Labor of Love”. 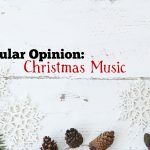 From the very first phrase, this song undermines one of the most popular Christmas song titles of all time and sets a tone that is completely perpendicular to most of our favorite carols and church hymns this time of year. 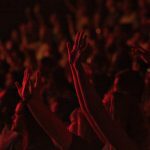 By doing so it does the modern church a huge favor in not allowing us to get too comfortable with the story of Jesus, but instead, by pushing back against some popular conceptions, it forces us to think about the truth, however uncomfortable it may be. We highly recommend the entire concert and you can read Phill’s short review of it here. It is a true Bucket List type of experience for Christians. 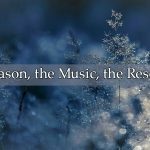 Today we give five reasons why this contribution to that concert is so special to us and why we recommend meditating on it this Christmas season (and beyond). Before we dive into the implications of what the song teaches us, we would be doing it a disservice to not talk about the song itself. I am not a musician. I do not pretend to understand all that goes into creating a song like this, but I do know when I am hearing something beautiful and unique. 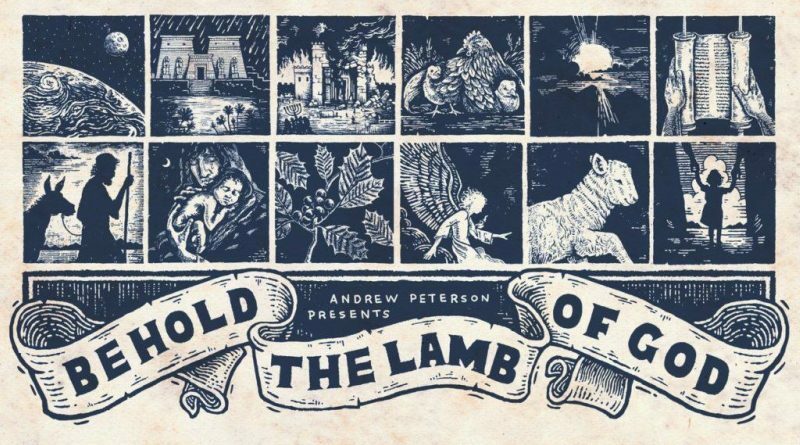 The first time I listened to Andrew Peterson’s “Behold the Lamb of God”, this was the song that captured my attention. I appreciated the rest of the album and eventually fell in love with all of it, but from the beginning, I loved “Labor of Love.” It was so different from any Christmas song I had heard. The song is deeply authentic – Jill Phillips sings with a passion that seems to channel the very emotions Mary felt that night. While other songs on the album go big with grand arrangements and productions, Peterson wisely opts to scale this song back to the basics – acoustic guitar, gentle piano, subtle rhythm section, and beautiful harmonies. It is not flashy. It is grounded and simple – which effectively complements the lyrics. This is, after all, a peek into a very human moment – the birth of a child. It is not about grandeur and glory. It is about a girl, who is away from her home, giving birth to her first baby. The only moment the song gives itself a little room to go big is when the lyrics focus on the Christ-child. It is a wonderfully constructed song, with every element working in tandem. Before you focus on what the song says, take some time to focus on how it says it. 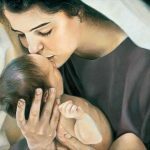 Do we know for sure if Mary’s mother was there or not to hold her hand? No, but there is nothing wrong with using our imaginations to picture what happened that night. The image of Joseph holding her and praying while she is going through what was certainly the most traumatic event of her young life is a touching lyric. Many details of that night are not for us to know, at least through Scripture. But we can imagine them and I think that is a good thing, especially through our art. 3. It cuts through the serene Christmas night imagery to communicate the harsh yet beautiful truth about the night Christ was born. Let’s be clear, our lives in 2018 are completely foreign to what Mary and Joseph experienced in first century Palestine. If you are reading these words right now, you have access to the internet, which means you probably have air conditioning, running water, and all sorts of other amazing technological and societal advancements. Their day-to-day lives would look impossibly hard to us. Yet that in no way should diminish what they went through leading up to the birth of Christ. The journey itself – over 90 miles. The lack of a place to stay – no room in the inn. Going into labor and giving birth in a foreign place. Regardless of what their lives were like back then, what they went through that night was uncommon, even for people of that time. All those things are captured so effortlessly in this beautiful song. “It was not a silent night.” It was difficult. It was uncomfortable. It was beautiful and wondrous and sacred. In a season justifiably filled with light, joy, and hope, it’s good to be reminded that the event that is at the root of all it, was bloody, lonely, and very human. Mary and Joseph do not need to be exalted as their child was, but they do need to be celebrated as significant players in God’s plan of redemption in history. We need to tell the world of their integrity and sacrifice. Those things can be messy in real life. For the plan to work how God intended, some young woman had to give birth, an undignified even if glorious experience, and suffer the pain it brings. Some man had to be the one who supported his wife even though the baby wasn’t biologically his. And this song reflects what Matthew 1 and Luke 1-2 tell us about these two incredible servants of our God. It is a song of worship and praise of the God of Abraham, Isaac and Jacob. But we would be remiss if we didn’t see it as a significant way to see it through Mary’s eyes and ears. The title alone tells us that. 5. It magnificently contrasts Christ the Sovereign God with Christ the Helpless Baby. 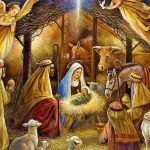 He was 100% God—He created the world and everything in it and had the authority to move mountains, and to give that authority to us by faith; He was 100% Man—He existed as a flesh and blood baby, supernaturally conceived yet very naturally carried and born. Amazing. That should never become something we fail to contemplate with awe. “Immanuel” is very much a Christmas name. God was with us, in humble baby form. “Labor of Love” is a beautiful and genuine statement of faith and love in action. The focus shines on the role Mary and Joseph played in the story of redemption but wisely, and masterfully, ends with that focus shifting to the very source of our redemption – “the Author of the faith” that was in Mary’s womb. In a perfect world, “Labor of Love” would be a Christmas classic loved by believers everywhere. A beautifully-written tribute to a beautiful, powerful song, and more than that a realistic and hope-filled look at the Incarnation. Hearing Jill Phillips sing this in person takes an already great song and puts it in rarified company. Hearing it last night at the Ryman was definitely a highlight of the evening.